In today’s world, especially in fast paced developing economies like India, there is a huge demand for skilled IT professionals. To cater this immensely growing need, it is very vital to transform the education system into a modern, technically advanced system that would help the students build the required industry capabilities right from the foundation level. To this effect, IBM Career Education Program has made changes in academia, in terms of rapidly building industry-relevant software capabilities that organizations need today. The program is a holistic, comprehensive one with customized offerings for Engineering and Business students and faculty members; ensuring the right results & benefits by collaborating at various levels, be it curriculum support, software foundation skills, capability building or experiential learning through Live Projects. The Career Education Program has launched specialized courses to develop required industry needed skills for manpower on emerging areas of technology such as Cloud, Mobility, Big Data, Business Analytics and Cyber security. IBM is empowering university graduates and working IT professionals in India/South Asia with knowledge and skills to serve the industry. The Program curriculum brings together the latest software content, real-world industry experience, hands-on lab courses and best practices, all into a single unique education program. PDM University and IBM Career Education have collaborated to build the deep skills in the areas of Cloud Computing and Big Data Analytics.  Starting academic year 2017, PDM University has launched Co-Branded specialized Engineering and Management programs in association with IBM. The aim is to develop sufficient industry needed skills for manpower on Cloud Computing , Big Data & Analytics. PDM University offers an exclusive opportunity to engineering aspirants through futuristic Bachelor of Technology (B.Tech) courses with specialization in association with – IBM. The IBM Career Education Program has launched specialized courses to develop required industry needed skills for manpower on Cloud Computing & Big Data Analytics. The aim is to develop industry needed skills for manpower on Analytics & Cloud Computing. An innovative curriculum has been developed for the programs jointly and will be delivered by IBM designated subject matter experts and university faculty. The curriculum caters to the various skill requirements of organizations across the world including Banks, Computer Services, Education, Healthcare, Insurance, Manufacturing, Retail and other industries. IBM designated experts will be available at the university to conduct classes face to face, to ensure that the knowledge and skills are imparted effectively. Campus having a state-of-the-art infrastructure and convenient accessibility from New Delhi & Gurgaon. An IBM Software Lab for Emerging Technologies has been setup at the campus. In this Lab, IBM has provided relevant IBM software & curriculum content for courses. IBM has conducted various faculty development programs to enhance the capabilities at PDM University. A joint committee has been setup between PDM University and IBM that will continuously recommend on course curriculum, content, delivery etc. The Committee will monitor and review the activities under these Programs and recommend decisions with respect to any aspect regarding programs. While each program participant will receive the printed course material from IBM, they will have access to various IBM online forums for additional study material and resources to interact with experts & participate in discussions.